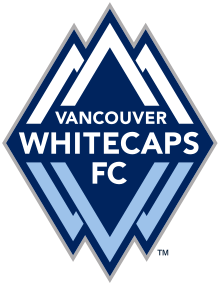 The Vancouver Whitecaps are one of th ree Canadian clubs that form part of Major League Soccer (MLS). The decade old team formed in 2009 is part owned by Canadian NBA legend Steve Nash. The team has yet to win the MLS Cup. However, they have won the Canadian Championship once in 2015. Below we have a look at the Vancouver Whitecaps latest odds, standings and upcoming league fixtures. If you’re looking to place a good bet on the Vancouver Whitecaps, you’ve come to the right place. The sportsbooks listed below should be able to help you with all your MLS betting related needs. The Vancouver Whitecaps first joined the league in 2011 and have had a spate of good results in the years since then. In their very second year, they were able to make it to the playoffs – a feat not commonly seen with newer teams. Since then the team has only improved on these results even going so far as to finish third in the league overall in 2015. That said, the team has not yet won the MLS Cup and the only silverware they have managed to get their hands on is one Canadian Championship victory. Their latest season did not really go to plan but at the very least the team was able to best the performances of other Canadian sites. If you’re looking to bet on the Vancouver Whitecaps, we recommend that you have a look at one of their rivalry games with the Portland Timbers or Seattle Sounders. Other than those matchups, any match against Montreal Impact and Toronto FC in the Canadian Championship may prove to be rather fruitful. Overall though, betting on the Vancouver Whitecaps will provide bettors with odds that will result in pretty massive payouts should the club win the match up. We don’t recommend placing any future bet on the team though.